It’s long been said about the NBA that it’s a “star’s league”. That’s probably less true today than it was five or ten years ago, but that doesn’t mean that it’s irrelevant either. Today in my return to “The Association” power rankings I’ll take a look at a few team’s in each tier and how their stars, or lack thereof, have impacted both their start and their projections going forward. 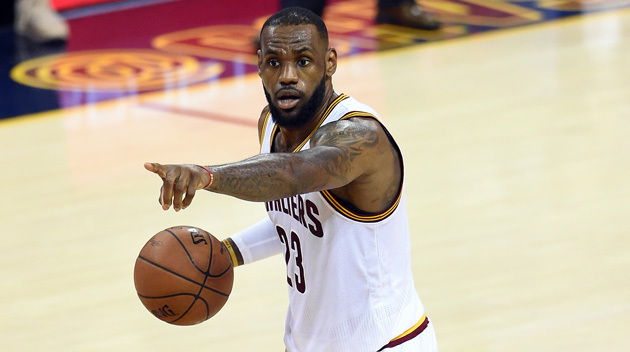 LeBron James might still be the best all-around player in the NBA, even if Steph Curry now carry’s the “league’s best player” title, and with him Cleveland is always going to be both an Eastern Conference and NBA Finals favorites. Cleveland is off to a solid start even with Kyrie Irving still recovering from the injury that cost him all but one game in the NBA Finals. James is a big reason why and even though he isn’t getting much media attention right now, a first in his illustrious career, he is averaging 26-6-8 on the season with a PER of 26.36. LeBron is one of the few non-point guards in the NBA right now who gets to embody the mantra of making everyone around him better and he even does that more than some of the elite point guards around the league. One thing to watch with Cleveland as a team going forward is their perimeter defense. LeBron is still a strong defender, but after him the Cavs are a little thin in the “strong perimeter defender” category. Iman Shumpert will help immensely when he returns, but beyond that the options are J.R. Smith (only does offense), Kyrie Irving (has the length and athleticism but not a great defender), and Delly (works hard and is a pest but always at a talent disadvantage). The Wizards became the first team to beat Cleveland at “The Q” this season last night and teams like them with two quality perimeter scoring options are going to continue to be a problem for Cleveland going forward. Other than the Clippers, the teams in this second group are devoid of real “star talent”. Kyle Lowry and Paul Millsap have played like stars, but your casual NBA fan is likely blissfully unaware of how well they are playing unless they are a casual Raptors, Hawks or Drake fan. 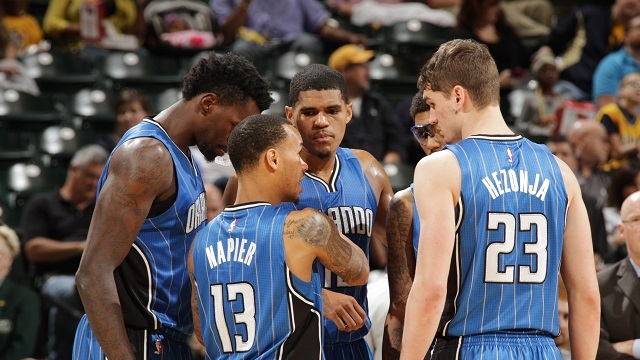 However, let’s focus on one of the oddest rosters in the league this week, which would be the Orlando Magic. The Magic have tons of lottery picks on their team, but none of them are stars, not yet at least. Orlando has had four lottery picks in the last three seasons and all of them are serviceable players, but none have exactly broken out yet either. Victor Oladipo was the second overall pick in the 2013 draft, and three years into his NBA career his effect is still more largely felt on the defensive end. Oladipo is a good perimeter defender and his offense is coming around as he’s averaging 14-4-6 on the season. In 2014, the Magic used two lottery picks to take Aaron Gordon and Elfrid Payton. Gordon is a “project” but his raw athleticism and leaping ability have already translated into solid rim protection and some highlight reel dunks. Offensively, he still has a little ways to go outside of the lane, but he is only twenty years old. Payton, the tenth pick in that draft, is a point guard he rebounds astonishingly well for his position, but still needs to work on his jumpshot too. Elfrid is a very good passer, always a triple-double threat, and prone to nights of looking like a star and consistency and outside shooting should develop with age. Mario Hezonja was the fifth pick in last summer’s draft and has yet to see significant playing time, but if his confidence and potential are indicators of success then the future may be very bright indeed. Between Andrew Wiggins, Jimmy Butler, and Andre Drummond this group has the biggest collection of up-and-coming stars in the league, but the guy we will look at today is Eric Bledsoe. 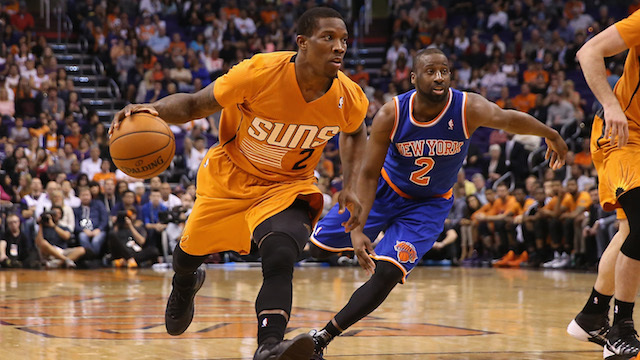 Bledsoe has already been an all-star, but never in Phoenix and never in the role he’s currently occupying. He is easily Phoenix’s number one option and is leading the team in points, assists and steals while maintaining a PER of 22.77. As long as he stays healthy and continues playing at this level, he is going to be an All-Star even in the loaded Western Conference. Brandon Knight also complements him in a small, but explosive backcourt that would give even the Warriors some headaches. Alex Len and Tyson Chandler also give Jeff Hornacek’s team a gritty low-post presence on defense. Phoenix is sitting at 8-10 right now, but my money is on them to end up as a seven or eight seed in the Western Conference. Memphis has finally started to pick it up, but they are still trying to overcome a remarkably slow start to the season. Every team in this group does have a bonafide star, but they are still in the bottom half of the NBA power rankings, because professional basketball is a true team sport more now than it ever has been in my lifetime. Nowhere is that more apparent than with what’s going on in Houston. James Harden finished second in the MVP voting and many felt he should have been the MVP. He is a gifted offensive player and capable of carrying a team to victory on any given night, but the Rockets as a team have not been able to replicate the success they had last season when they captured the two seed in the West and reached the Conference Finals. 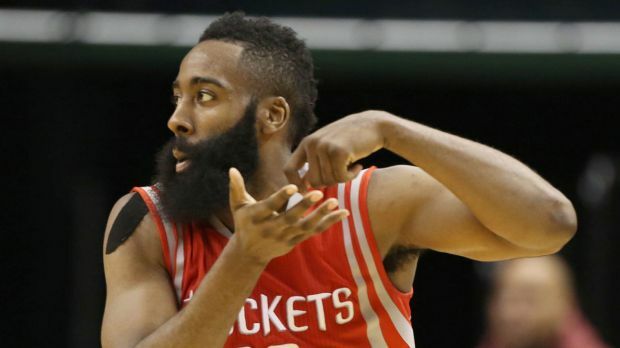 Harden is still scoring (29.8 PPG good for second in the NBA) and distributing the ball (6.6 APG) with tremendous success, but he is being asked to play an asinine number of minutes a night. Part of the Rockets struggles have also been due to working out kinks in the chemistry department between Harden and offseason acquisition Ty Lawson. Expect that duo to improve together and play more smoothly as the season progresses, and I still think this will end up being a playoff team at the end of the day. 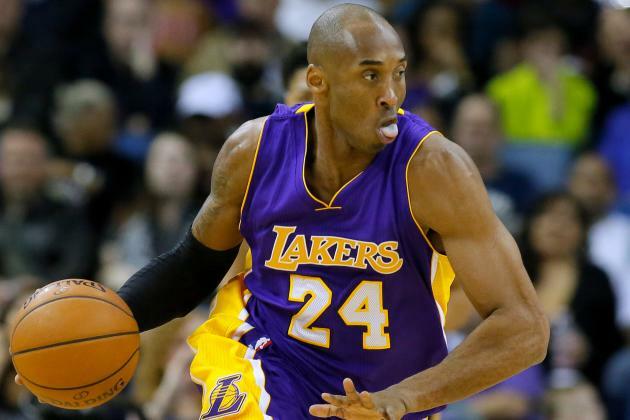 The descent of Kobe Bryant from the greatest shooting guard not named Michael to this limping, inefficient chucker is sad to watch and the latest example of why it’s better to get out a year too soon than a year (or three) too late. Don’t think I’m trying to “hate” on Kobe Bean because I’m not. He is one of the greatest to ever play the game, but he also isn’t remotely close to what he was even five years ago at this point and who can fault him? He has been operated on almost literally from head to toe (shoulder to Achilles’ to be literal). The only fault that lies with Bryant at this point is not hanging it up soon enough and costing the Lakers a few years of rebuilding in the process. Los Angeles does have some young intriguing pieces though with D’Angelo Russell and Julius Randle, who have the potential to be a strong pick n’ roll combo on offense. Russell has displayed more athleticism, especially on defense, than I initially anticipated and while his game needs some refinement on both ends the Lakers have to believe he has the potential to build around him and Randle. The only thing Los Angeles has to hope for now is that Kobe can take Roy Hibbert’s massive frame and contract with him into retirement next season.